This link was headlined on the Drudge Report as “Fed chairman warns ending stimulus would carry substantial risks.” Well no kidding! As I’ve written many times, “No more QE…no more system,” period. Who would step in and purchase $1 trillion+ of Treasury securities that the Fed is currently buying? And if they did find buyers (doubtful), how high would the yields need to be to attract the buyers? …and of course the next question would be, are those rates too high and at levels that take up more in interest expense than the Treasury even takes in? Ben Bernanke testified yesterday before Congress and spoke about the “tapering” of QE. We have also been offered a trial balloon(s) over the last few weeks regarding cutting back on QE. The results (even though nothing has been shaved back)? Japanese treasury securities are now over 1% and U.S. Treasuries are over 2%. The Japanese Nikkei average ended last night down over 7% after opening up 3%…can you say “reversal day?” Stock markets all over the globe are down over 2% (except of course the free markets in the U.S.). It is important to understand that these dislocations have taken place strictly based on the “THOUGHT” of lesser quantitative easing. Before I write any further, I’d like to go back to basics and remind you exactly what “QE” is. QE is “code” for outright monetization. It is highfalutin gobbledygook speak for plain old fashioned PRINTING. “Printing” to purchase Treasury securities that no one else neither wants nor would purchase. Pure printing to be used to buy “stuff.” “Stuff” as in assets that need “help” to keep their prices high so that the message that “all is well” continues to ring throughout the realm. Pure and unadulterated printing that is used to paint the pretty (false) pictures so the populace will continue to sleep in oblivion. The point is this, even the slightest whiff that the monetization will slow (forget about actually stop) will cause an outright panic and implosion of asset values as EVERYONE tries to be the “first one out.” Think of it this way, in any Ponzi scheme wouldn’t you be an immediate “seller” if you knew that no more sucker money (or even just less money) was going to enter the scheme? And this, in a nutshell is THE problem! Without the infusion of new money, current asset values are not and cannot be justified in any world that we know of. All you need to look at are two markets right now, the Japanese and U.S. Treasury markets. They have crossed two “round numbers,” 1% and 2% respectively. This CANNOT continue, rates CANNOT go up…or the entire system will collapse in a heap into one giant black hole of insolvency. Forget about banks and insurance companies, forget about housing, forget about equity values, forget about the economic ramifications…think “derivatives.” The “few” trillion of these Treasury securities have a “leech” market attached to them. This market is at a minimum 100 times the size of the paper market itself and is where the banks trade amongst themselves. “Someone, somewhere” is going to lose, lose big and go broke…which of course will break the daisy chain of false values and solvency. Please keep in mind that all of the above is happening at the exact same time that hedge funds have built the biggest short position in “paper” gold ever. Maybe they are correct? Maybe the paper contracts that they have shorted will actually go to zero? Maybe the speculators will finally wise up and realize that since there is no real gold behind these contracts that they are worth zero and sell them off? If I may make a suggestion, could it possibly be that those who rode the Ponzi in paper assets are the same ones who are short paper gold? Could a margin call in one place create liquidation (and more margin calls) in another? If this was not “systemic” I would advise grabbing the popcorn but life everywhere on this planet is about to change. What comes should not be a surprise to anyone. Great article as always. It seems like all the hoopla around physical shortages has been around Gold (although I know from experience that the silver market is tight as a drum). Jim Sinclair recently stated that he does not see Silver going above $50 and anyone who thinks otherwise is delusional. That doesn’t make sense to me. We are in a middle of a currency crisis and by the time people will figure it out, there won’t be any physical Gold to be had (at any reasonalbe price that is). 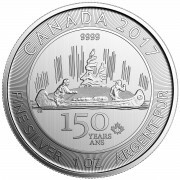 If that were to be true and I fully expect that will be the case one day, I can’t imagine that people will shun Silver and not be willing to pay more than $50. Anyhow, I love what you write on a daily basis and I would love to hear your opinion on this. 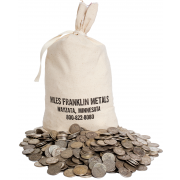 I believe that Silver will ultimately outperform Gold on a percentage basis. 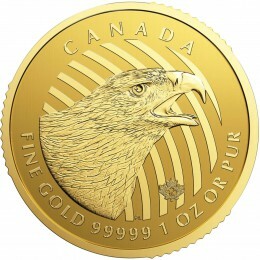 It is “poor man’s Gold” and there is a huge population out there of potential buyers. 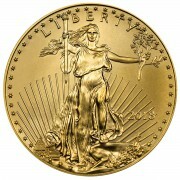 Gold I believe will be repriced higher and taken out of the reach of the average person.